Are you interested in proving that your organization cares about its workforce? Are you interested in securing your organization’s future? Are you interested in attracting and keeping quality talent? Do you want to be like most organizations that don't utilize Leadership Development? Not only does it need leaders today but it will need leaders tomorrow. Statistically, your organization is probably not addressing this problem effectively. This is because leadership development is not something most organizations really know how to address. In fact, 61 percent of companies offer absolutely no leadership training at all and many that do offer it are simply going about it all wrong. Finally, not everyone is a leader when you need them to be. That’s why it is very important to groom employees that show an interest in potentially becoming a leader. Not only does this help keep good workers around longer, but it sets up your organization for success down the road when the need arises. This may all sound like bad news or a daunting task to correct but GrassFire has the solution. Simply allow us to facilitate your leadership development needs. What Can GrassFire Do For You? We will work with your current leaders to ensure that they are on the right page. 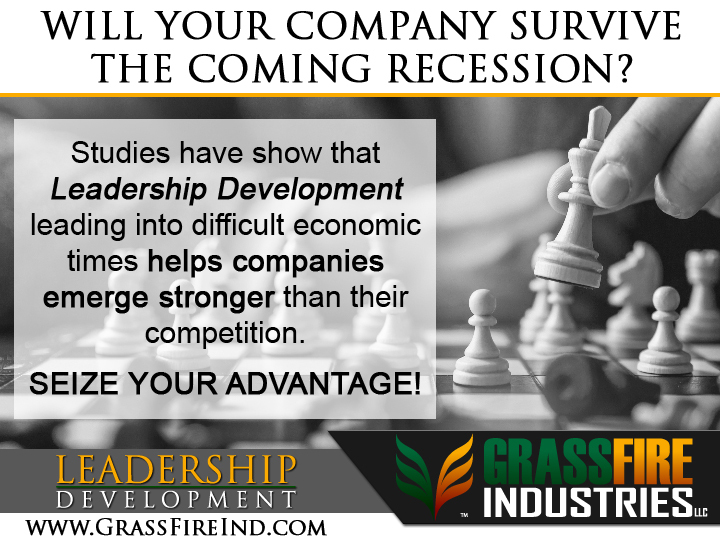 Corporate Leadership Development is a need for all organizations and GrassFire is here to help you facilitate that for your organization. If this is your need, then by all means, let’s get that started right away. You must also consider your leadership pipeline. Make leadership development a part of your leader’s scheduled training. We can definitely work around your organization’s schedule by holding our sessions during the day, in the evening or even on some weekends. There are plenty of options and ways that we can work together to ensure the best for your organization. Have you ever thought about making leadership development a benefit for your organization? Setting it up this way allows your workers to participate in leadership development on their personal time. That’s right! Employee benefits don’t have to be limited to healthcare and 401k’s. Imagine being able to add a benefit to your organization’s benefits package that includes a benefit that fits both the needs of your organization and the needs of your employees; something that proves you care but also addresses your organization’s need to develop future leaders. You would be the hero, and in doing so, your employees will enjoy the opportunity to learn about setting and achieving goals, change management, problem solving, planning, overcoming fear, making decisions and designing strategies, communicating, building relationships, getting promoted and so much more. The preferences and needs of both your organization and your workforce are changing. Maybe it’s time that your organization considers accommodating those preferences and needs. Contact us today and let us customize a program to fit your needs.